Distortion product otoacoustic emissions (DPOAE) are increasingly used as an objective test for noninvasive hearing screening. When two pure tones with frequencies f1 and f2 are sent to the cochlea, the most prominent DPOAE is the cubic one produced at 2f1-f2, and this presentation will mainly emphasize its properties. DPOAEs are undoubtedly generated by cochlear nonlinearities. It is widely held that they arise from certain stages of sound processing by the outer hair cells (OHC) and that OHCs ensure normal cochlear sensitivity and tuning. Thus, DPOAEs should provide a privileged tool for monitoring the harmful effects of loud sound because OHCs are known to be one of the main targets of NIHL. Although DPOAEs provide the clinicians with a reliable screening limit of about 30 dB HL around f2, no reliable relationship has been found thus far between possible residual DPOAEs and either hearing loss or amount of impaired sensory cells. Furthermore, puzzling contradictory findings have been reported as to the presence of DPOAEs despite a large hearing loss (i.e. >30-40 dB) notably with high-level stimuli. These observations raise the following issues. What is the generation site of DPOAEs in a normal or pathological cochlea (OHCs, basilar membrane, place tuned to f2, 2f1-f2, places basal to f2...)? Is it necessary to account for interferences between several discrete sources, arising from different locations or different mechanisms and possibly exhibiting differential susceptibility to sensory cell damage? Do DPOAE changes depend on the nature of OHC pathology (NIHL, anoxia, ototoxic drugs, genetics...)? Once a source of DPOAE is characterized, is there any means of modelling the physiological process of its generation and deriving what might quantitatively relate DPOAE amount to sensory cell activity and thresholds? The goal of this presentation is to examine these issues, review the available data and propose a comparatively simple model. The purpose of this study was to explore the application of the click-evoked and distortion products otoacoustic emissions (CEOAEs and DPOAEs, respectively) in the diagnosis and detection of noise-induced hearing loss (NIHL). The study group consisted of 283 noise­exposed subjects and 176 subjects with a history of noise exposure but with a normal audiogram. Findings were also compared with those in 310 young military recruits with no reported history of noise exposure and normal bilateral audiogram. In general, the features of noise-induced emissions loss (NIEL) closely resembled the behavioural NIHL parameters: both were bilateral and both affected primarily the high frequencies, with a "notch" at around 3 kHz in the DPOAEs. On average, CEOAEs were recorded up to 2 kHz, indicating that up to this frequency range (speech area), cochlear functioning is intact and the hearing threshold is better than 25 dBHL. A clear association between the OAEs and the severity of the NIHL was noted. As the severity of NIHL increased, the emissions range became narrower and the amplitude smaller. 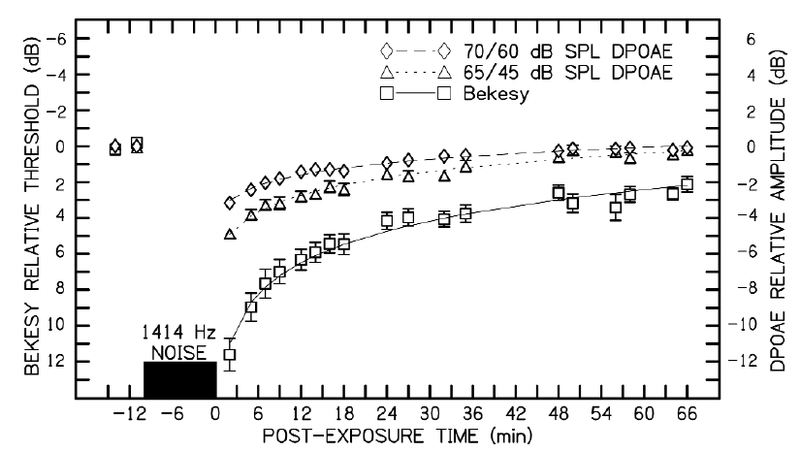 OAEs were found to be more sensitive to noise damage than behavioural audiometry. 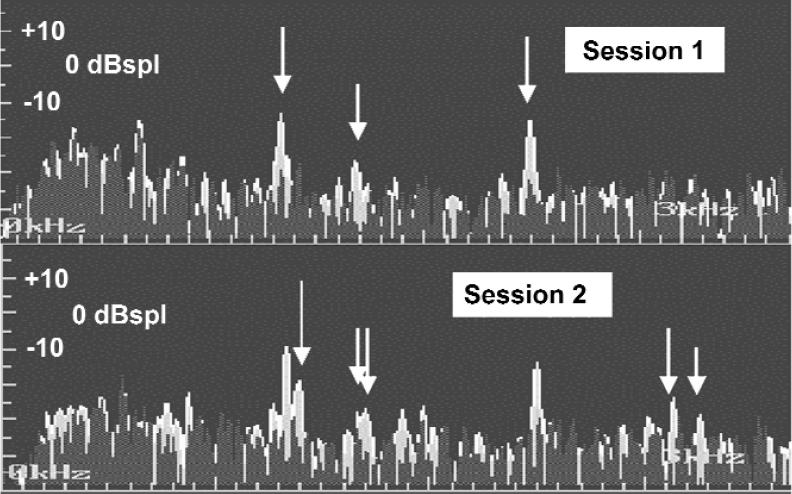 NIEL was found in subjects with normal audiograms but with a history of noise exposure. Owing to their objectivity and sensitivity, OAEs may sometimes provide indispensable information in medico-legal cases, in which the configuration of the audiometric threshold is needed to obtain an accurate diagnosis of NIHL and compensation is proportional to the severity of NIHL. Furthermore, OAE testing between ears with and without NIHL revealed a high sensitivity (79 - 95%) and specificity (84 - 87%). This study shows that OAEs provide objectivity and greater accuracy, complementing the behavioural audiogram in the diagnosis and monitoring of the cochlear status following noise exposure. Loss of adaptability rather than loss of sensitivity may be one of the initial signs of auditory impairment following exposure to noise. One way to examine the adaptability of hearing in experimental investigation is to measure the magnitude of the suppression, exerted by the medial olivocochlear efferent system, on the ipsilateral otoacoustic emissions in response to contralateral sound stimulation. Thus, in order to test the hypothesis it was decided to measure hearing thresholds (HT), the cubic DPOAE and suppression of cubic DPOAE by contralateral wide band noise in rats exposed to long-term, low level noise (90 days of 90 dBlin 4-20 kHz wide band noise 4 hours/day, 5 days/week). Measurements of HT were performed by assessment of the ABR, elicited by tone-pips from the same probe assembly used in the measurements of DPOAE. The suppression of the cubic distortion product (CDP) was determined in ketamine/xylazine anaesthesia, allowing a stable response for a minimum of 20 min. 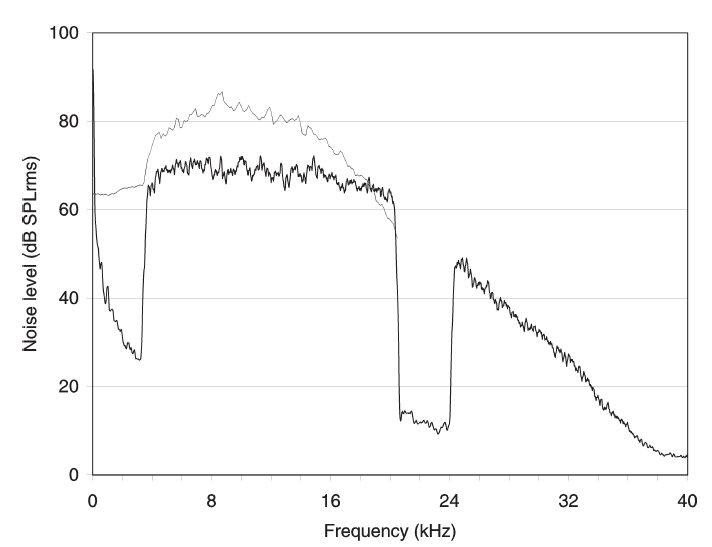 Of the frequencies tested, the rats exposed to noise had an increase in HT at 12.8 kHz only (6.8 dB, P<0.05), while a reduction on the CDP was evident with f2 going from 9.2 kHz to the upper limit at 17.4 kHz. Further, the rats exposed to noise had little suppression of the CDP at low levels of contralateral noise (CN), but no difference from the control animals was seen as the CN noise level was increased. The measurement of DPOAE suppression did not reveal any effects of the low level noise exposure that was not paralleled also by shifts in hearing thresholds. 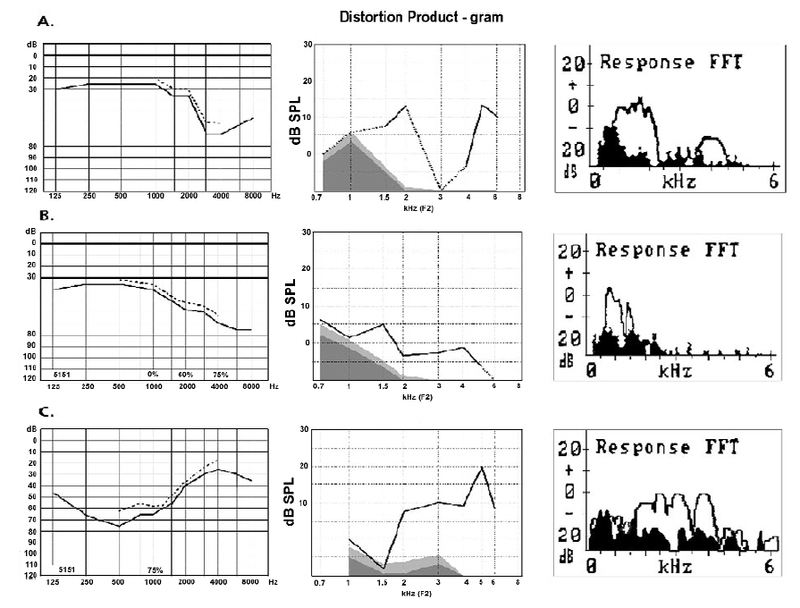 The most sensitive assessment of the auditory changes in the study was the measurements of DPOAE, and further elaboration on the bandwidth and frequency distribution of the CN is necessary, before auditory changes in the high frequency range can be probably assessed. Noise-induced hearing loss includes both temporary (TTS) and permanent (PTS) threshold shifts. Although TTS and PTS have many similarities, their underlying mechanisms are different. Both TTS and PTS are seen in hearing-conservation programs, making it important to consider both when making physiological measurements of inner-ear damage in applied settings. There are many ways that physiological mechanisms could be useful in screening for NIHL. Can normal-hearing and NIHL ears be differentiated from one another? Can the physiological measure be used in place of behavioural hearing-threshold measures of TTS and PTS? Can it be used to indicate sub-clinical damage (i.e., noise-induced permanent alterations to the inner ear without a corresponding hearing decrement)? Can it be used to indicate pre­clinical hearing loss (i.e., the sub-clinical damage eventually turns into hearing loss)? Finally, can the physiological measure be used to predict susceptibility to NIHL? Evoked otoacoustic emissions (EOAEs) depend on normal outer hair cells for their generation. Because this is the site in the inner ear in humans that is most susceptible to noise, there has been considerable interest in the application of EOAEs to NIHL screening. In this review, the application of distortion-product EOAEs (DPOAEs) is considered for this purpose, emphasizing work from our laboratory, but including that of others as well. Wherever possible, we compare the performance of DPOAEs as a screening tool to transient-evoked otoacoustic emissions (TEOAEs). We emphasize the importance of how well DPOAEs perform in screening for NIHL in individuals rather than for groups of people; the importance of using large numbers of subjects; and the importance of longitudinal studies. Noise exposure is the most common cause for the generation of tinnitus. This study evaluated the variability of spontaneous emissions in industrial workers exposed to noise and reporting the presence of tinnitus in comparison with those exposed to noise but without tinnitus. The assumption being that exposure to noise leads to some instability within the cochlea, which alters the spontaneous emission activity. Thus those experiencing tinnitus may show greater variability than those without tinnitus. 198 mill workers in Poland exposed to noise levels between 85-95dBA for a mean of 12+6.6 years, 104 of whom had reported the presence tinnitus and 94 without tinnitus were evaluated for otoscopy, audiometry and otoacoustic emissions. The tests were repeated between 5-10 days in most subjects to check for variability. There were significant differences in the mean age, pure tone average, transient emissions amplitude and variability between groups with and without tinnitus. There were no significant differences between sessions for these measures in either group. Those with tinnitus had poorer thresholds by an average of around 15dB, and reduced TOAE of around 2.6dB compared with those without tinnitus. There are a number of factors such as age, pure tone thresholds and tinntius, which may be responsible for the reduction in emissions. 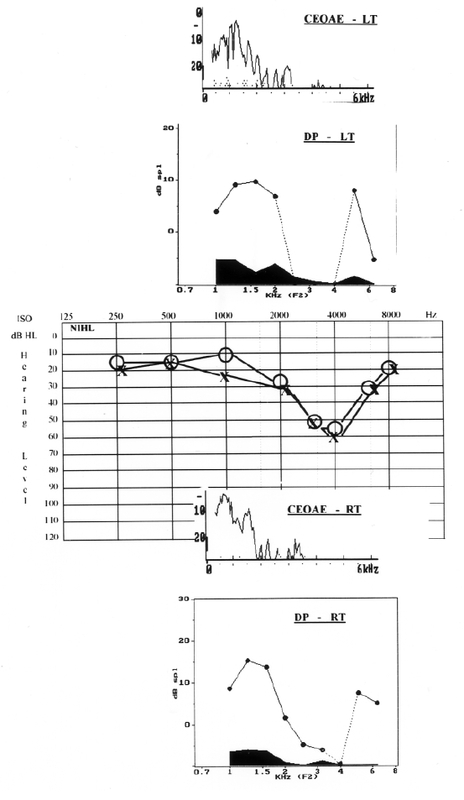 For the purposes of examining SOAE stability, all SOAE peaks were classed as stable if SOAE frequency in the two sessions remained unchanged and variable if SOAE peaks were present in both sessions but shifted in frequency or present in one sessions and absent in the other. SOAE were present in 73.1% of tinnitus group and in 50% of non- tinnitus group. Of these 92% of the tinnitus group had present and variable SOAE whereas 48.9% of the non-tinnitus group did. Thus the positive predictive value was calculated at 65% for those with variable SOAE having tinnitus and significantly higher at 86% negative predictive value for those with stable SOAE having no tinntus. The likelihood ratio of tinnitus being present given that SOAE are present and variable is 1.87 and is significantly reduced for no tinnitus given that SOAE are present and stable at 0.156. This study has clearly demonstrated that the incidence of spontaneous emissions is higher in noise-exposed workers than previously observed and the stability from week to week is significantly lower in those with subjective tinnitus. Otoacoustic emissions (OAEs) are a sensitive and frequency-specific tool for assessing cochlear damage. Parameters of an OAE signal decrease at the frequency that approximately corresponds with the injured region. However, damage in the basal turn of the cochlea is important for signal processing and OAE generation in the higher cochlear partition. 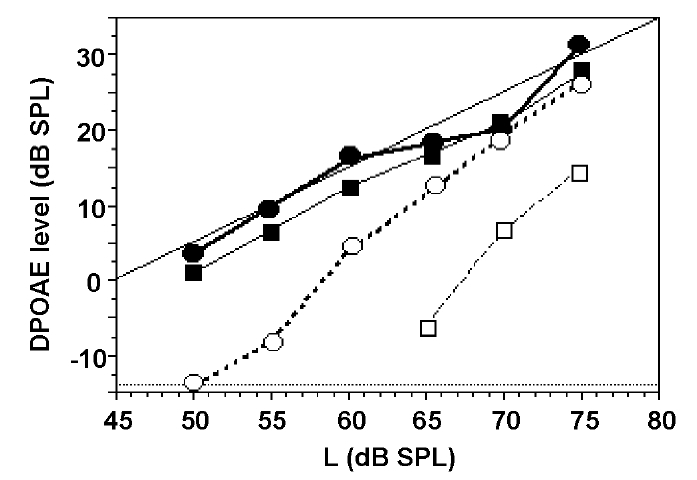 In workers exposed to noise, the amplitude of OAEs decreases at the frequencies characteristic for acoustic trauma. These changes may occur prior to the audiometric threshold shift, which supports the superiority of OAEs in early detection of noise-induced damage. Therefore, OAEs may be applied as a quantitative test for individual assessment and monitoring of industrial hearing loss. Otoacoustic emissions are an established screening tool in the examination of newborn and infant hearing. In addition, studies on adult patients demonstrate high sensitivity and specificity if applied in screening sensorineural hearing loss, especially with multivariate analyses engaged. 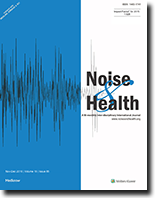 OAEs may be used as a screening test in subjects with an increased risk of exposure to noise and in epidemiological studies on industrial and environmental noise effects. Although otoacoustic emissions have a remarkable advantage in the evaluation of industrial hearing loss, there are some doubts about their utility in hearing conservation programs. The legislation and financial compensation associated with the diagnosis of occupational illness are based on the quantitative "gold standard", pure-tone audiometry. In addition, as it is not possible to reproduce the audiogram precisely, the OAEs may not be currently applied as a reliable test of hearing loss in malingerers. However, in some countries where tinnitus is eligible for compensation, OAEs may indeed appear helpful in the reliable diagnosis of cochlear damage within the respective frequency range.